1. Pat the shrimp dry with paper towels. Tip: To get a good sear on the shrimp you want them to be as dry as possible. Wrap them in paper towels and let them dry in the refrigerator for half an hour. 2. Put the oil in a skillet. Preheat the pan, over high heat, until the oil is shimmering. 3. Add the dry shrimp and white parts of the green onions to the pan. 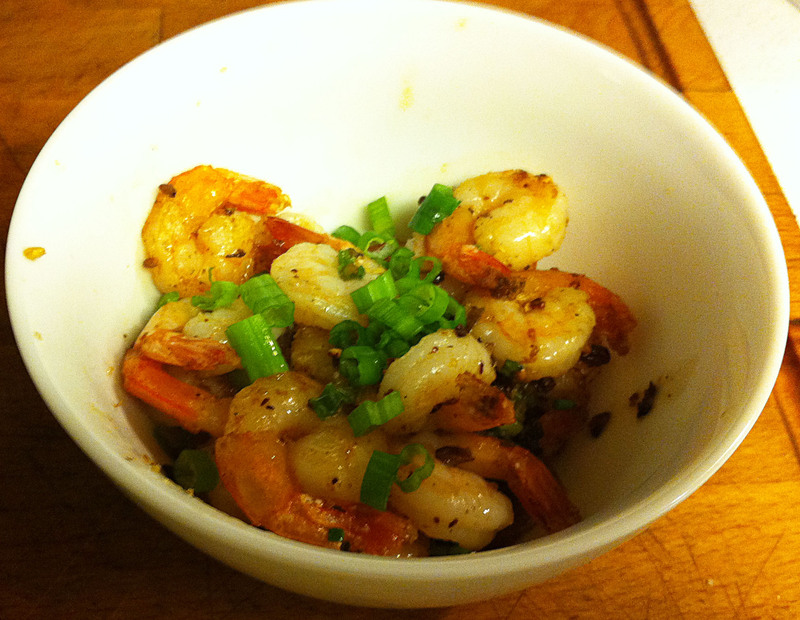 Sprinkle half of the Szechuan Salt & Pepper and Chinese chili flakes over the shrimp. Cook, without stirring, for two minutes. 4. Flip the shrimp and sprinkle with the rest of the pepper and chili. Cook for one to two minutes more. 5. Transfer to a serving bowl and garnish with the green onion. Tip: Provide a debris bowl for the tails.